Growing numbers of small-business owners say unfilled job openings are thwarting their growth at a time of high confidence in the economy. About 33% of 848 small-business owners and chief executives said they had unfilled job openings in June because they couldn’t identify qualified applicants, up from 31% of 811 owners nearly two years ago, according to surveys by The Wall Street Journal and Vistage International, a San Diego peer advisory group for executives. During this period, owners’ confidence in the economy increased. The tightening of the labor market is one factor, according to economists. The unemployment rate in June was 6.1%, down from 8.2% two years ago. A shortage of workers with the right skills and experience is also a major impediment. 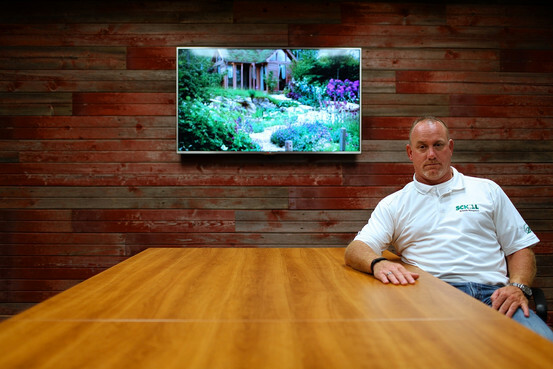 Business owner Jerry Schill receives a phone call almost daily from condo or commercial businesses looking to hire his North Ridgeville, Ohio, landscaping company, but he has to turn nearly all of them away. With just 106 employees, he has passed on potential clients with multiple locations and other big projects. The problem: He needs five managers to oversee work crews, quality control and safety. He has advertised the managerial positions, which pay up to $75,000 a year and include retirement benefits, for Schill Grounds Management Inc. since October. So far, he hasn’t found anyone with both managerial and landscaping experience. If these jobs weren’t still vacant, “we could easily add 20% more business,” he says. In the latest WSJ/Vistage survey, 35% of 270 services businesses said they couldn’t identify qualified candidates, versus 12% of the 135 manufacturing firms, and 8% of 85 wholesale trade businesses. Overall, 43% of small-business owners said unfilled jobs were impeding their businesses from growth or expansion, compared with 39% in 2012. Melanie Gass, owner of CenterPoint Solution LLC in New York, says her current 21-person staff has had to work overtime because the company doesn’t have enough workers. “We’re stunting our growth right now because there’s a limit to the number of projects we can handle at one time,” says Ms. Gass, who founded the technology-services business in 2004. She has had three openings since January for a Microsoft certified architect, project manager and data-migration specialist. The jobs pay competitive salaries and her employees can work from home, she says, but even recruiting companies haven’t been able to help her find qualified candidates. Stewart Thornhill, a professor of entrepreneurial studies at the University of Michigan’s Stephen M. Ross School of Business, says some job seekers see small businesses, and startups in particular, “as riskier places to commit to” because such employers tend to suffer from the perception that they’re less reliable employers. “The biggest predictors of survival for any company are size and age” of the business, Mr. Thornhill says. Another disadvantage for small firms: “They have limited infrastructure to reach out to potential job applicants,” says Aaron Chatterji, associate professor of strategy at Duke University’s Fuqua School of Business. For instance, many lack human-resources departments, so owners handle recruiting themselves. At establishments with fewer than 250 employees, the average open position was vacant for more than 20 days as of February, a duration 15% longer than two years earlier, according to the most recent data from Dice Hiring Indicators, a provider of specialized career websites that uses Labor Department data for its analysis. Karla Daniel, co-owner of a 20-person company that sells and services power equipment such as tractors and mowers, says she currently has three unfilled positions for skilled repair technicians that have been open for more than a year. Recently, business picked up so much at Lee’s Outdoor Power Inc. that she had to deny customers due to being understaffed. Two years ago, she raised salaries for senior repair technicians to $20 an hour from $12. She also advertises the open jobs on a wide range of websites, and uses recruiters. She even offers to foot the $5,000 expense for entry-level recruits to participate in a three-year training program from a vendor while on the clock. Few people take advantage of the perk, she says, or they quit after just a few weeks. Access to skilled talent is just as critical to a small business as access to capital and technology, according to John Sullivan, professor of management at San Francisco State University’s College of Business. “Skilled workers and top performers produce new ideas and innovations, which are essential for growth and to compete with larger firms,” he says. To be sure, some business owners believe that talk of the skills gap is overblown. Hugh Hoagland, owner of ArcWear Inc., says he mainly needs people with basic computer skills to sell and schedule the 15 electrical-safety courses his Louisville, Ky., company offers monthly to businesses of varying sizes. He usually finds potential candidates within two weeks of posting ads on his company’s website and newsletter or on job sites like Craigslist.org. Not many people have the kind of electrical-engineering background he needs for the test work the company also performs, Mr. Hoagland says. But recruiting those workers has never been a problem for him either, he says, because he pays about 10% more than his competitors. In Ohio, landscape business owner Mr. Schill has created a scholarship for college students pursuing careers in horticulture and is in the process of developing an internship program. He is also considering recruits from outside of landscaping. “We’re now looking for managers with strong operational backgrounds in any industry,” he says.